Okay, maybe the off-road bumper and winch accessories on your rig reflect your obsession with weekend mudding or rock crawling. But if you’re looking for a change of pace or a change of scenery, we’ve compiled a list of trips that combine off-roading, wilderness know-how, and scenic beauty. So, get your 4WD rig ready and head out for adventure that’s truly off the beaten path. Plan for about three or four days to travel the entire 145 miles. The classic desert route takes you through a region of incredible natural landmarks like the Colorado River and Joshua Tree National Park. This is remote desert, so bring about a gallon of water per person per day and definitely beware of snakes. Just under 65 miles long, the trail crosses two 12,000 foot passes, brings you through a half dozen ghost towns, and offers more breathtaking vistas than you can count. A 4×4 with high ground clearance will let you take in the absolutely best views. 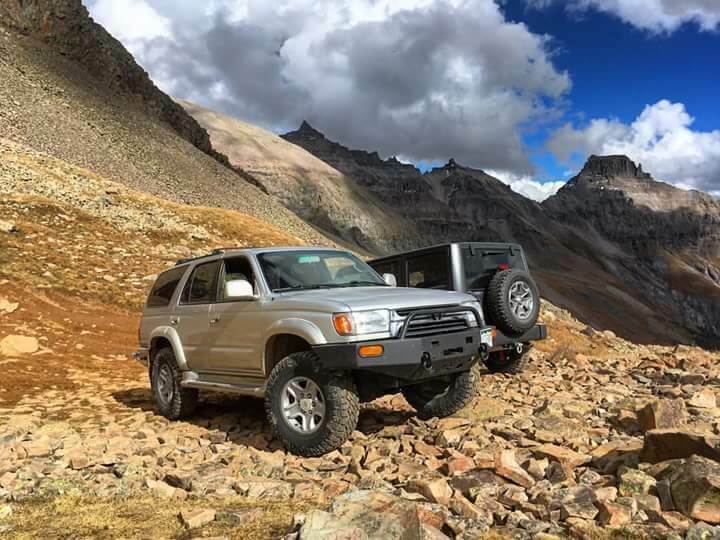 While you’re there, don’t forget to check out all the other OHV/4×4 trails in the great San Juan Mountain range, and the beautiful town of Ouray, Colorado. Also, when adventuring in this area of Colorado, a camera should be a MUST HAVE 4×4 accessory. No paved roads and camping anywhere along the beach make the North Core and South Core of North Carolina’s barrier islands an incredible outdoor playground. Riding through the dunes, of course, is prohibited to protect against erosion. The brainchild of motorcycle enthusiast Sam Correro, the TAT, as it’s known, winds almost 5,000 miles over dirt, forest service, and jeep roads. Back in 2013 a group of Land Rovers completed the entire route, proving that it’s not just for motorcycles. We’ll let you decide if it’s for your rig.